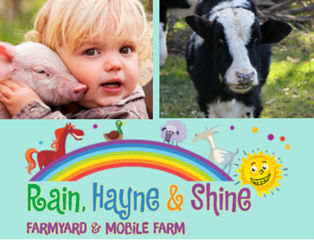 Rain, Hayne & Shine Farmyard provides “hands on” experiences with a large variety of friendly farm animals to feed and cuddle. You will be amazed at the variety and quantity of animals residing on the farm. We even have a few native species in addition to the domestic stock.